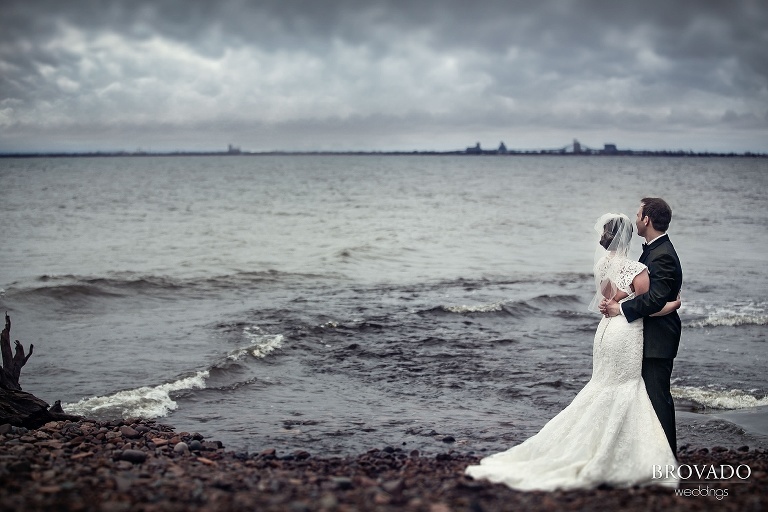 I love photographing weddings in Duluth, MN. It’s such a gorgeous place. 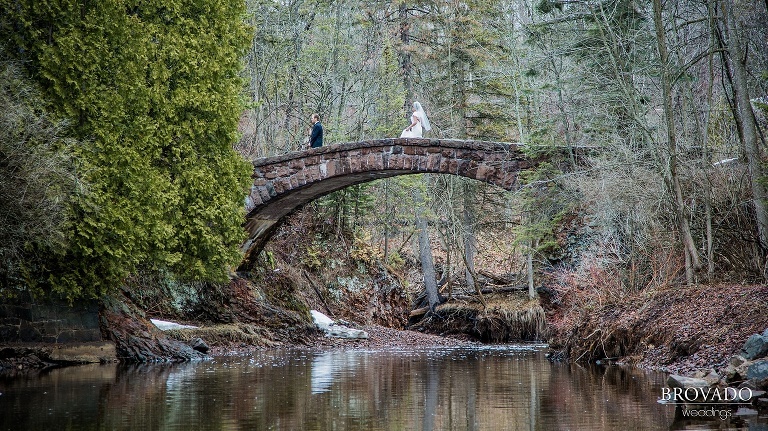 The rocks, the hills, the beauty of Lake Superior, the moody skies… They all make perfect backdrops for unique MN wedding photos. 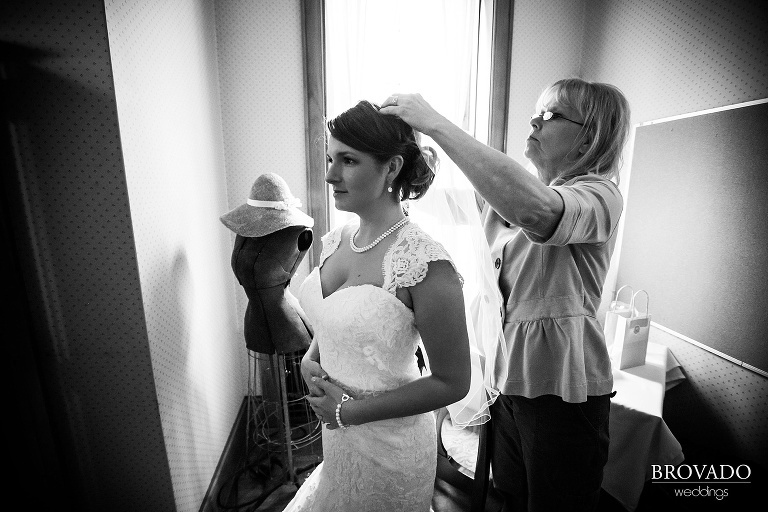 Kelly and Karl had an intimate wedding ceremony in the main hall of the historic Glensheen Mansion. Afterwards, they celebrated with family and friends in the Glensheen’s ornate dining room. 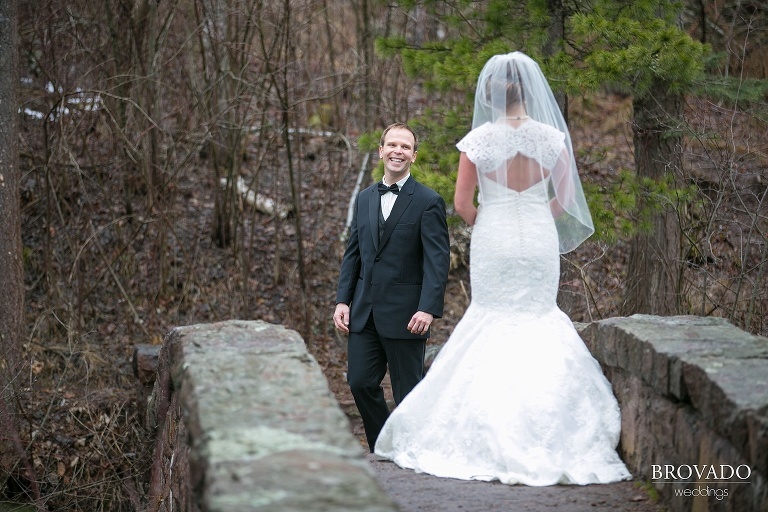 We were able to get out on the rocks for some gorgeous wedding photos on the shore of Lake Superior, and for Karl’s first look at his bride, we even found a cute little stone bridge that looked like it was straight out of a fairytale! « The Hussain’s Surprise 25th Anniversary Party!